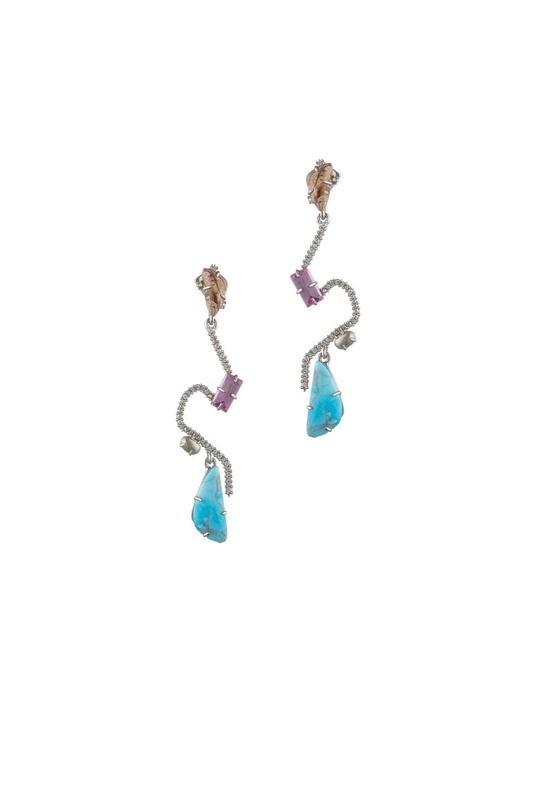 Rhodium plated earrings with pave crystal accents, turquoise and pink corundum stones. Post backs for pierced ears. 3" long.